The tragedy of King Lear receives an outstanding performance in an all-star cast led by Britain’s senior classical actor, Paul Scofield. 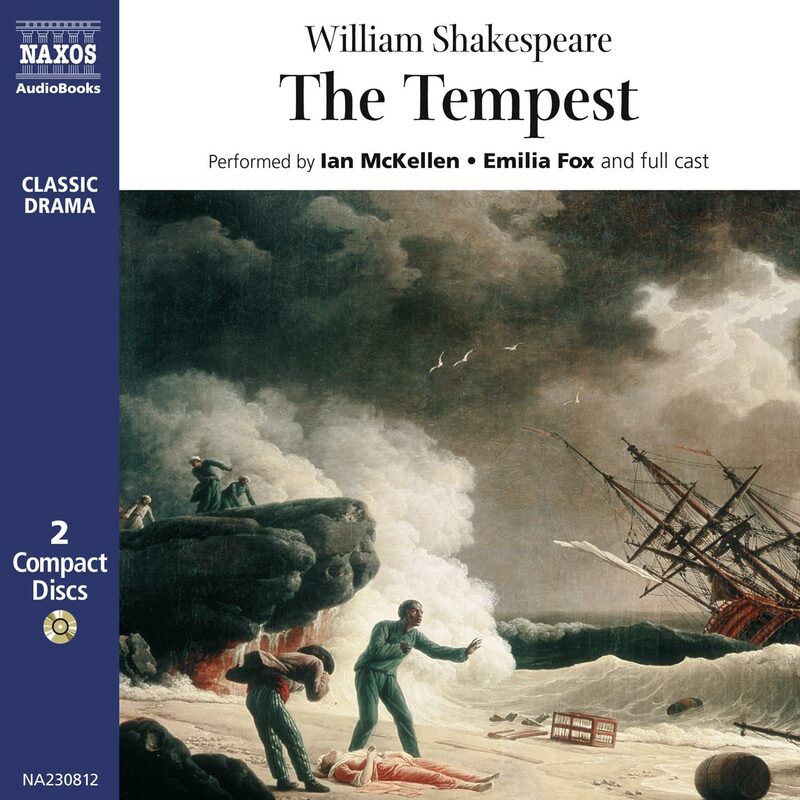 He is joined by Alec McCowen as Gloucester, Kenneth Branagh as The Fool, Harriet Walter as Gonerill, Sara Kestelman as Regan and Emilia Fox as Cordelia. 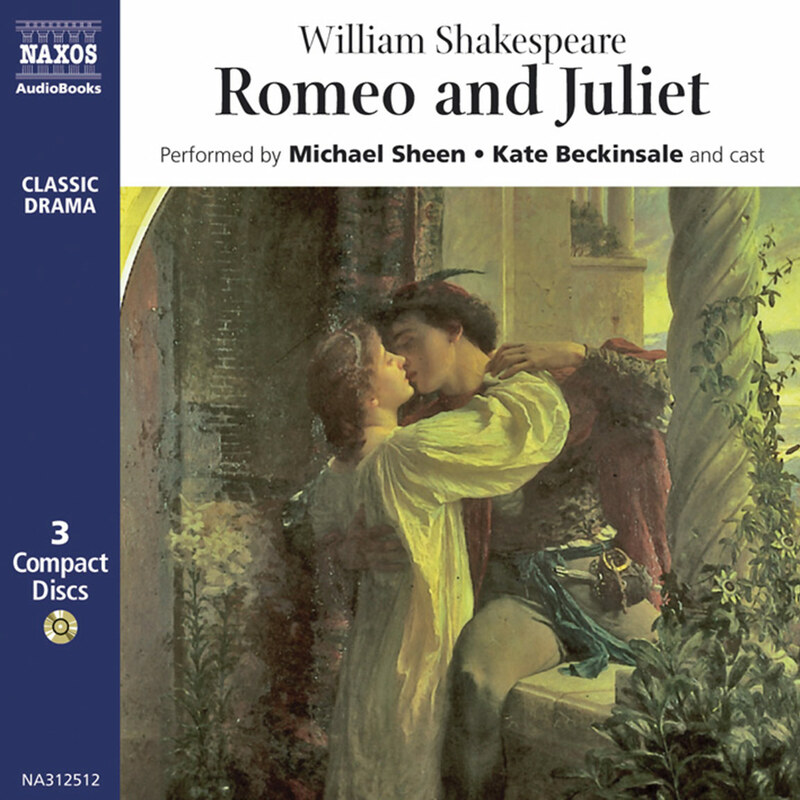 This is the ninth recording of Shakespeare plays undertaken by Naxos AudioBooks in conjunction with Cambridge University Press, and is directed by John Tydeman. It was released to mark the eightieth birthday of Paul Scofield in January 2002. In the 1940s Paul Scofield played at the Birmingham Repertory Theatre and at Stratford-upon-Avon. He has appeared in innumerable plays in London, seasons with Sir John Gielgud and with Peter Brook and starred in A Man for all Seasons in London and New York; for its film version he won an Oscar. Appearances in films, television and radio. CBE in 1956. Companion of Honour 2001. 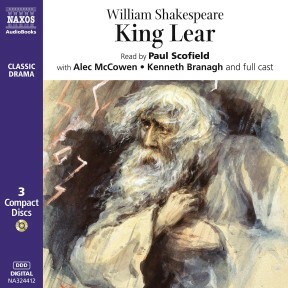 He performs the title role in the Naxos AudioBooks’ production of King Lear. 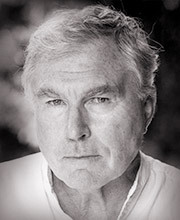 After winning a scholarship to RADA, Peter Blythe began his career with the Living Theatre Company, Leicester, then Nottingham Playhouse under the direction of John Neville and Frank Dunlop. 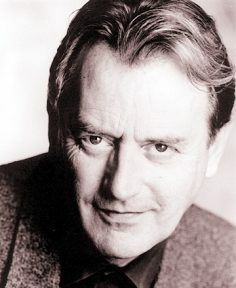 He has appeared in numerous theatre productions, including Graham Greene’s The Return of A J Raffles, a World Tour of King Lear, Comedy of Errors (RSC); at the Globe Theatre his performance in The Chairman earned him the Clarence Derwent Award. 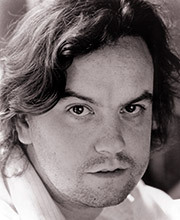 He has appeared in most major television series including Rumpole of the Bailey and recently Dalziel & Pascoe. 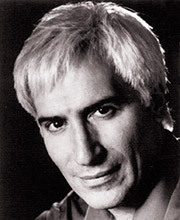 Jack Klaff’s theatrical roles have included Foppington, Trigorin, Atahuallpa, Gulliver, di Maggio, Macbeth, Iago and Theseus/Oberon. On film he can be seen in Star Wars, King David, 1871 and Pasternak. His radio work stretches from the Sea Wolf and Oscar Wilde to Quasimodo. 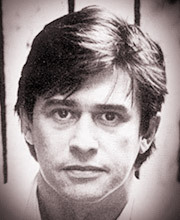 Television appearances include Road Rage and Vanity Fair as well as his own plays. He is a prolific author and solo artist. 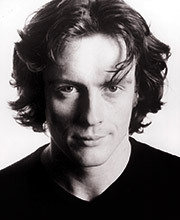 Toby Stephens’s theatrical Shakespearean credits for the Royal Shakespeare Company include Measure for Measure, All’s Well That Ends Well and Coriolanus, for which he was awarded the Sir John Gielgud Award for best actor, as well as the Ian Charleson Award. His film and television appearances include Camomile Lawn, The Tenant of Wildfell Hall, The Great Gatsby and Twelfth Night. He has also played the part of Edmund in Naxos AudioBooks’ production of King Lear. 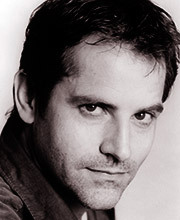 Simon Treves’ recent theatre appearances include The Magistrate, A Midsummer Night’s Dream, Richard III, Charley’s Aunt, A Man For All Seasons, One Flew Over the Cuckoo’s Nest and A View From The Bridge. On television he has been seen in Soldier Soldier, Boon, and By the Sword Divided. 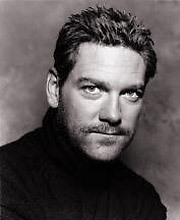 His numerous radio performances include The Chronicles of Narnia, The Love of a Good Man, Peter Pan, The Russia House, Riddle of the Sands, and The Wooden Horse. 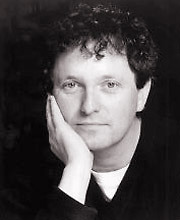 Matthew Morgan was a member of the BBC Radio Drama Company, appearing in The Archers, The Starving Girl and many other programmes. His theatre appearances include How The Other Half Loves, Bedroom Farce, Barnaby, Old Boys and An Enemy of the People. His many television credits include The Bill, Hollyoaks, The Brittas Empire, Eastenders, Grange Hill, Perfect Scoundrels and Trail of Guilt. King Lear, probably dating from 1605, was first printed in a quarto version in 1608 and in a different form in the First Folio of 1623. It is the third in Shakespeare’s great sequence of four tragedies: Hamlet (1600–01) and Othello (1602–1604) precede it, and Macbeth (1606) follows. It possesses the widest emotional and thematic reach of them all, occupying a space which achieves an almost abstract, symbolic quality while at the same time offering a painful concreteness of experience: it is both intensely personal and impressively universal, tackling the great questions of suffering and morality (‘is there any cause in nature that makes these hard hearts?’) within the context of a social conscience (‘O! I have ta’en too little care of this’) and an anguished questioning of God (or the gods, who, it seems, ‘kill us for their sport’). The plot of King Lear, it has often been remarked, has something of the quality of fable or fairy tale (Cordelia as Cinderella? ), and in fact the story seems to be of very ancient origin. Geoffrey of Monmouth tells it in his twelfth-century History of the Kings of Britain, albeit with a happy ending, but Shakespeare’s chief source was undoubtedly his well-thumbed copy of Raphael Holinshed’s Chronicles (1577). Again, the end of the play differs significantly from the source: Cordelia, for example, commits suicide in Holinshed but, of course, is murdered in Shakespeare. One or two details were borrowed from The Mirror for Magistrates (1574) and from Spenser’s The Faerie Queene (1590), while the sub-plot of Gloucester’s story derives from Sir Philip Sidney’s Arcadia (1590). Finally, Shakespeare was almost certainly familiar with The True Chronicle History of King Lear, and his three daughters, Gonorill, Ragan and Cordella, probably dating from 1594. This has many general similarities but is clumsy in verse and characterisation. In none of these sources do we find, for example, the crucial factor of Lear’s madness, so powerfully developed in the play. Thus we are reminded of the breadth and culture of Shakespeare’s reading, and also of his ability to transmute sometimes fairly base metal into gold. Act 1, Scene 1: The play is set in an ancient, seemingly pagan, Britain. Kent and Gloucester discuss the King’s imminent ‘division of the kingdom’; Gloucester introduces his illegitimate son Edmund to enters and initiates a contest in daughter who most convincingly love for him will gain the largest the kingdom. Gonerill and Regan make false and extravagant speeches, but Lear’s youngest and hitherto favourite daughter, Cordelia, refuses to play this absurd game and is, as a result, furiously disowned. Kent, interceding on her behalf, is abruptly banished. Cordelia’s two suitors, Burgundy and the King of France, enter and are asked if they still wish to marry the dowerless daughter. France, undeterred, claims Cordelia as his bride. Left alone, Gonerill and Regan, who have been given everything by Lear, agree to ‘sit together’ against their now powerless father. Scene 2: Edmund, in soliloquy, delivers a powerful defence of his imminent treachery, and then tricks his credulous father Gloucester into believing that his other son, Edgar, intends to murder him. Gloucester having left, Edmund then warns Edgar to beware of his father who is inexplicably angry with him. Scene 3: Lear is now staying with his daughter Gonerill, who encourages her steward Oswald to provoke Lear into some indiscretion so that he may be humiliated and his entourage reduced. Scene 4: Kent enters, disguised: intent on protecting his king from the evil purposes of his two older daughters, he persuades Lear to take him on as a servant. Kent quickly picks a quarrel with Oswald, while Lear’s Fool (or jester) makes some pointed allusions to what he sees as his master’s folly. Gonerill enters and demands that Lear control his retinue’s behaviour and reduce its number. Lear, enraged, calls down a fearful curse upon her and departs in search of Regan’s hospitality. Gonerill sends Oswald to warn her sister of Lear’s imminent arrival. Scene 5: Lear sends Kent ahead with letters to Gloucester. In conversation with the Fool, he begins to acknowledge his own folly and fear of madness. Act 2 Scene 1: Edmund hears that Regan and her husband Cornwall are expected soon; there is also a rumour of coming war between Cornwall and Albany, Gonerill’s husband. Edmund uses this information to suggest to Edgar that he should flee the Duke of Cornwall, who believes him to be an enemy. Edmund then tells Gloucester that Edgar was trying to persuade him to join in murdering their father. Gloucester, believing these fabrications, promptly disowns Edgar and promises to leave everything to Edmund. Regan and Cornwall, arriving, commiserate with Gloucester and explain that they have left their own home in order to avoid entertaining Lear. Scene 2: Kent and Oswald appear simultaneously outside Gloucester’s castle: Kent is busy beating Oswald when he is found by Cornwall and put in the stocks in spite of Gloucester’s pleading. Scene 3: Edgar, pursued, decides to adopt the disguise of a filthy and demented Bedlam beggar: ‘Poor Tom’. Scene 4: Lear is furious to discover Kent in the stocks, and is further incensed by the initial refusal of Regan and Cornwall to come down and speak with him. Regan receives her father coldly; Lear repeats his curses upon Gonerill, who then herself appears. The daughters combine to refuse Lear any of his own retinue; Lear, beside himself with fury, rushes out into the night, in which a storm is brewing. Act 3 Scene 1: Kent hears from a Gentleman that an army from France is soon to arrive, determined to restore the King. Scene 2: As the storm rages, Lear, accompanied only by the Fool, urges the elements to destroy this world in which moral values and family loyalty no longer exist. Kent joins them and leads the King to a hovel where he can find some shelter. Scene 3: Gloucester confides in Edmund that he now wishes to help the King. Edmund, alone, determines to tell Cornwall of Gloucester’s decision. Scene 4: Lear urges the Fool to seek shelter first; the Fool is terrified to find the apparently mad Poor Tom (the disguised Edgar) already there. Lear, himself now almost mad with grief, feels drawn towards a fellow-sufferer and is moved to acknowledge the pitiful vulnerability of man, the ‘poor, bare, forked animal’. Gloucester appears and leads them towards a place ‘where both fire and food is ready’. Scene 5: Cornwall thanks Edmund for his information. They set out to find Gloucester. Scene 6: Lear, his wits having deserted him, shelters with ‘Poor Tom’ and the Fool, who has his last line in the play ‘And I’ll go to bed at noon.’ This is usually taken as a foretelling of his death. Gloucester re- enters to warn the King that he must leave at once for Dover if he values his life. Scene 7: Gonerill and Edmund leave Regan and Cornwall to deal with the now- apprehended Gloucester, who is tied to a chair and blinded. A servant, prompted by righteous disgust, wounds Cornwall mortally but himself is killed in the attempt. 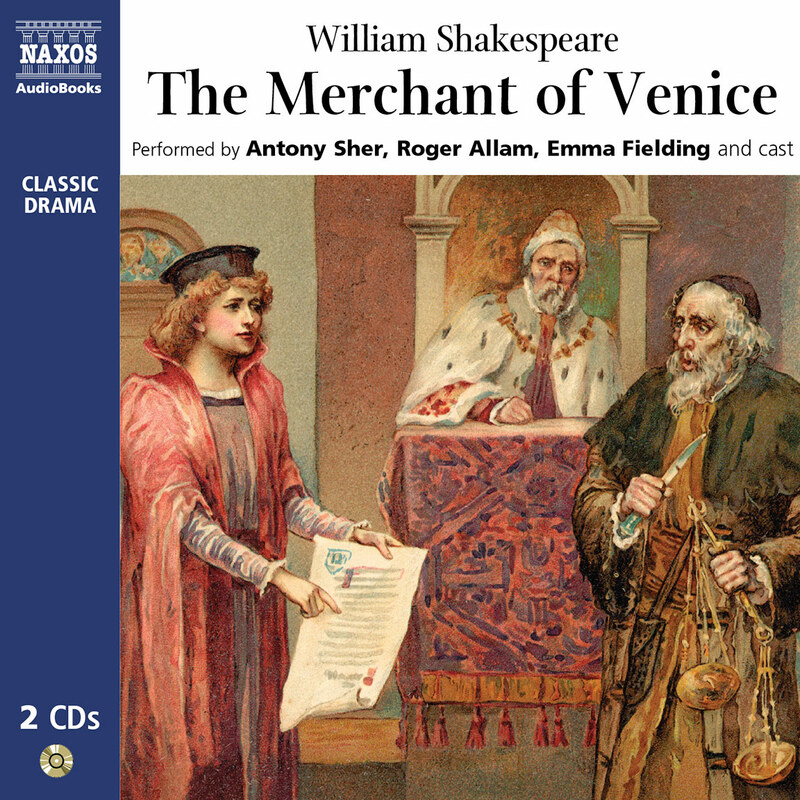 Act 4 Scene 1: Gloucester, now aware of Edmund’s treachery and Edgar’s innocence, is being guided by an old tenant of his; Edgar (still acting the role of Poor Tom) offers to lead his father to the cliffs of Dover. Scene 2: Gonerill, warned by Oswald that Albany now favours the King, asks Edmund to take over her husband’s position, and then sends him to Cornwall to request a rapid muster of his army. Albany enters and delivers a withering denunciation of Gonerill’s behaviour. They are interrupted by news of Cornwall’s death. Scene 3: Cordelia, concerned for her father’s health, sends out attendants to bring him to her tent. She confirms that the army from France is intent solely upon restoring her father’s position. Scene 4: Regan, in conversation with Oswald, reveals her own love for Edmund and consequent jealousy of Gonerill. Oswald is sent off with a note for Edmund, and instructions to kill Gloucester if he should see him. Scene 5: Edgar persuades his father that he stands on the edge of Dover cliff. Gloucester, wishing to commit suicide, falls tamely onto his face, but is made by Edgar to believe that he has indeed fallen and has survived by a miracle. Lear enters; not yet recognising Gloucester, he acnowledges his own folly and goes on to attack all forms of hypocrisy and misused privilege. As Cordelia’s attendants approach, he flees, convinced that they intend him mischief. Gloucester and Edgar (now posing as a ‘most poor man’) are attacked by Oswald, who is killed by Edgar. Edgar then reads the love-letter from Gonerill to Edmund. Scene 6: Lear is brought into Cordelia’s tent, asleep. As he wakes he expresses his shame and contrition: Cordelia seeks to comfort and reassure him. Act 5 Scene 1: The two sisters openly compete for Edmund. Edgar appears, disguised, to issue a mysterious challenge. Edmund confirms in soliloquy that, once Cordelia and Lear are in his power after a victorious battle, he will defy Albany’s authority and have them executed. Scene 2: Edgar has difficulty in persuading his despairing father to flee after Cordelia’s forces have been defeated. Scene 3: As Lear and Cordelia are led into captivity, Edmund sends a soldier after them with instructions to kill them. Albany and Edmund vie for control of the prisoners, which Edmund refuses to give up; meanwhile Regan complains of sickness, having been poisoned by Gonerill. Albany declares that he will fight Edmund to the death if no other champion appears to do so. The trumpet having been sounded, Edgar’s mysterious challenge is read out. Edgar – still disguised – emerges to fight Edmund. Edmund is mortally wounded; Edgar reveals himself and recounts the tale of Kent’s heroic deeds; news arrives of the deaths of Gonerill (who has committed suicide) and Regan (by poison); and Edmund, repenting of his evil, confesses that he has ordered the deaths of Lear and Cordelia. He has spoken too late: Lear enters carrying the dead body of Cordelia, who has been hanged. Believing – falsely – that she still breathes, the King dies. Kent, it seems, will follow very soon in his master’s footsteps, while Albany and Edgar are left to sustain the ‘gor’d state’. For contemporary readers and audiences, King Lear is probably the most powerfully and unbearably moving of the tragedies. From the mid-twentieth century to the present day it has acquired a remarkable relevance and seeming modernity: for generations reared after the horrors of two world wars it seems to be tackling the key questions about evil, suffering and the role of God. When Lear cries out to Cordelia ‘Why should a dog, a horse, a rat have life/And thou no breath at all?’ we surely cannot answer, whatever our religious belief, or lack of it; when Kent and Edgar ask ‘Is this the promis’d end? Or image of that horror?’ we might think of Hiroshima; at the blinding of Gloucester and the hanging of Cordelia we, like Lear, demand to know what ‘cause in nature … makes these hard hearts?’ Shakespeare, of course, cannot answer his own questions, which resonate in our minds long after the performance or reading have ended. Critics have shared this sense of profound disturbance: Samuel Johnson, editing Shakespeare in the eighteenth century, relates that ‘I was many years ago so shocked by Cordelia’s death, that I know not whether I ever endured to read again the last scenes of the play till I undertook to revise them as an editor’. Johnson was used to the standard version of the play then performed: Nahum Tate had rewritten King Lear with a happy ending in which Cordelia marries Edgar. Keats and Shelley, in the next generation, both celebrated the bitter-sweetness of the play, Keats in his sonnet ‘On sitting down to read King Lear once again’ and Shelley in his Defence of Poetry, where he praises the sublimely effective blending of comedy and tragedy. G. Wilson Knight in the twentieth century brilliantly analysed the surreal comedy of the play, pointing to the scene in which Gloucester imagines himself falling down Dover cliff but in fact merely falls on his face: the comedy succeeds because it is simultaneously exquisitely painful, ironic and appropriate. All of this, together with the savagely pointed exchanges between Lear and the Fool, looks forward to twentieth- century theatre of the absurd, in particular the plays of Samuel Beckett. In King Lear one feels always that what is being said and what is happening resonate universally: the very heath itself, where Lear confronts the storm outside and the storm in his own mind, suggests a kind of cosmic wasteland where all meaning and faith have been lost. It is interesting that Shakespeare paganises the old story: it is the gods, not God, who must be questioned, and perhaps the key word of the play is ‘nature’: human nature, the nature of the divine (if it exists), the nature of things, the ‘natural’ world of ‘unaccommodated man’, man without his clothes (‘Off! off! you lendings!’), man as a ‘poor, bare, forked animal’. Shakespeare asks, as we living after the Holocaust must also ask: how much is our civilisation really worth if we can behave to each other like ‘monsters of the deep’? This brings us to what is perhaps the crux of the play and how we understand it. Modern critics (roughly speaking) are divided between the Christian apologists and what we might call the nihilists. The Christians point (for example) to Cordelia as a kind of sacrificial Christ figure, and believe that Lear’s deluded belief that Cordelia still breathes is an image or suggestion of a better life to come. The nihilists (to which group I belong, I must confess) see the whole play as a demonstration of existential despair: there is no God, merely a combination of cruel misfortune and human malignity, and all we can hope to do is to survive, promoting where possible the good over the evil. Albany fears that ‘If the heavens do not their visible spirits/Send quickly down to tame these vile offences,/It will come/Humanity must perforce prey on itself,/Like monsters of the deep’, and even the most optimistic reader of the play can hardly claim that the heavens do indeed prevent such excesses. True, by the end the powers of evil are in abeyance; yet what is left? – two exhausted men will struggle to sustain the ‘gor’d state’, as the curtain comes down over the dead bodies of Lear and Cordelia. 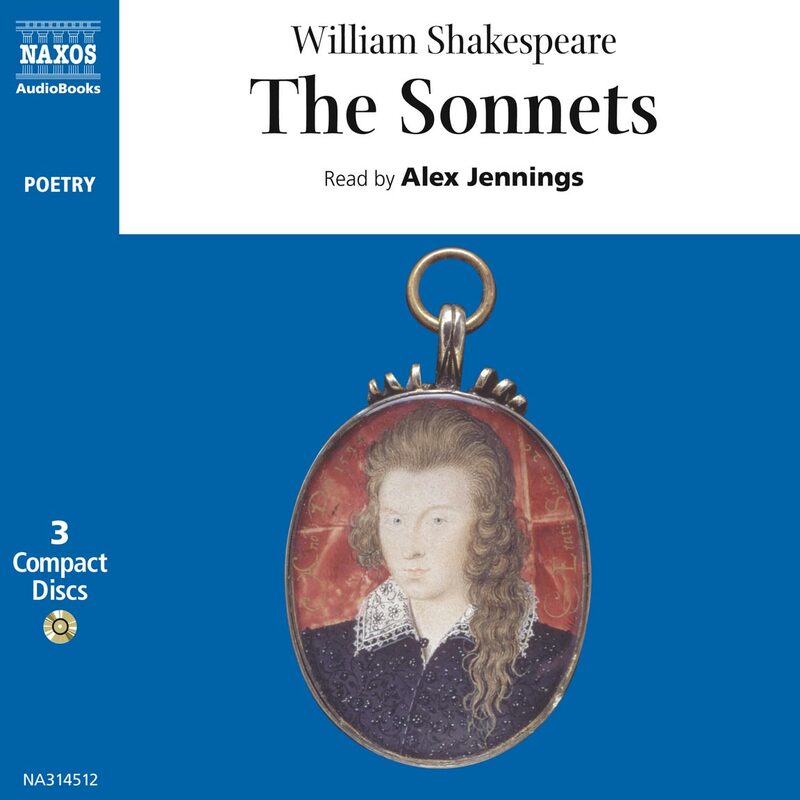 This recording uses the First Folio version, which departs from the quarto at several crucial points. Both versions are available from Cambridge University Press. “The role of the King is always seen as one of the most formidable challenges open to an actor, one that can crown a career” writes the Shakespeare scholar, Stanley Wells. On the stage the part also requires considerable physical stamina and emotional energy in its trajectory from proud authority, through selfish irritability, rage, suffering, senile madness, hopeful reconciliation, to heartbreak and death. 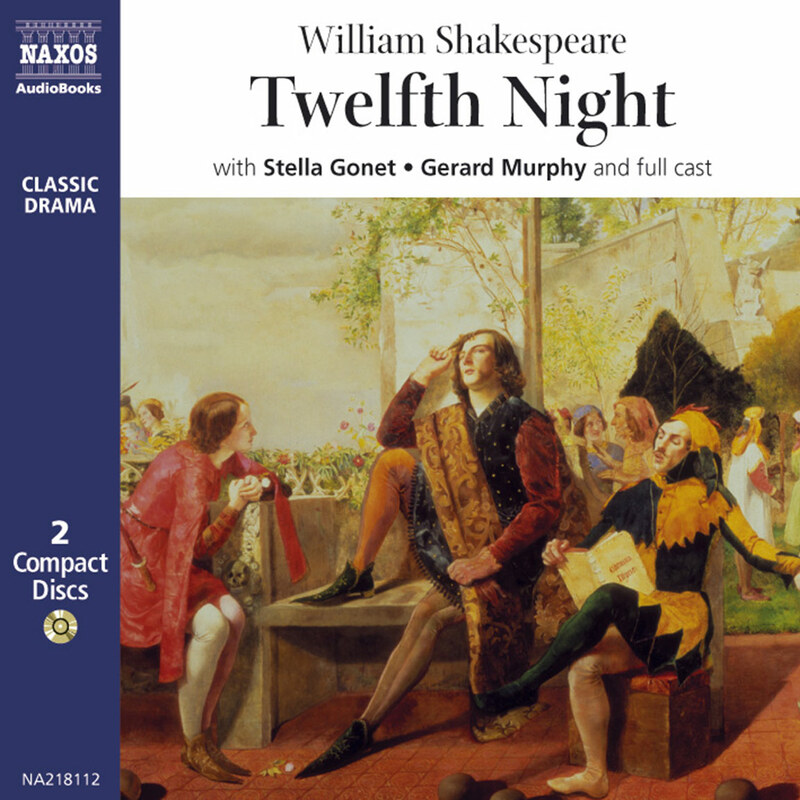 Consequently the role is often played by an actor much younger than Shakespeare’s rather precise “Fourscore years and upward/Not an hour more no less”. And it is not just a question of having the strength to carry on the body of his youngest daughter towards the very end of the play. “Get a light Cordelia” was the only tip a famous actor could give on being asked for advice about the role! Garrick was 24, Gielgud 27 and Burbage under 40 when they first played Lear on stage. 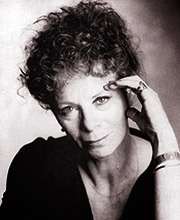 Scofield was 40 when he first played the King in Peter Brook’s 1962 Stratford production and was acknowledged as one of the finest Lears of the twentieth century. Now, 40 years on and all but a few months off the “fourscore years and upward”, he interprets the role for a second time. This time it is for the ear alone without the exhausting demands of a continuous stage performance. Paul Scofield is the supreme actor for the ear. He knows how to mine a text for every nuance of meaning. He is blessed with a voice of the widest range which experience has taught him how to exploit, control and modulate. He has a thinkingness, an interior quality, which is part of the mystery of things. This the microphone detects and conveys. Playing a man whose age is closer to his own, he has no need to ‘age up’, i.e. to act age. Nor does he have to act authority. That he has through course of nature. Besides, a king should never play a king; he is a man who happens to be a king. In the theatre, as in life, it is the other actors who create his authority. Forty years after the first stage performance as Lear I felt that it might be time for Paul to revisit the play and re-inhabit the old king. I suggested this to Paul and he confessed that he had had similar thoughts. Happily, Naxos and the Cambridge University Press came together to make this present production happen. 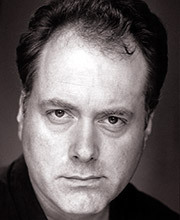 I had previously worked with Paul on two other major Shakespearean roles, Macbeth and Othello, for BBC Radio. We explored these two characters in a sound studio some time before he played them in the theatre (RSC and RNT respectively). Now, with Lear, the situation is reversed and the sound production follows the theatre one – but at a considerably greater remove of time. Like Ibsen’s “Peer Gynt”, King Lear is, in a certain sense, an extended, dramatic poem. For several centuries the complete original text was thought too intractable for the stage as well as being reckoned to be too painful for audiences to bear. Hence it was much cut and considerably rewritten. Nahum Tate’s 1681 version, with a happy ending in which the good all live and Cordelia marries Edgar, was the one which was used for nearly 200 years. At a recent production of the play at Shakespeare’s Globe I was made to realise how Burbage and his company must have been forced to bang out the words into a large, open space. In Shakespeare’s day there could have been no room for vocal subtlety. The actor would have to fight the volume of the thundersheet in the storm scene; there could be no intimacy in the mad scenes, no sweet quietness in the reconciliation scene and no hushed whispering of ‘close-up’ lines. But in audio a play takes place within the human skull. That is its theatre. It occurs within the mind and imagination of a listener. It happens in the very place in which the author originally conceived and composed his work – his head. Moreover, full focus is necessarily upon the poet-dramatist’s language and sense, without the distraction of any mise-en-scène. 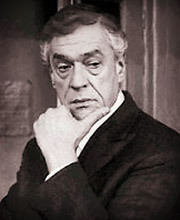 The fact that Paul Scofield, probably the most admired and loved actor in the profession, was to play Lear again attracted a fine company of fellow actors. Shakespeare’s works belong pre-eminently to actors and to audiences, rather than to scholars and directors. There is always a handed-on continuity in the cast of any one of Shakespeare’s great plays. Most of the actors in any given play will have acted in it before, usually in a different role. Hamlet will graduate to Polonius, Edgar to Lear. In the current production out of a cast of fifteen actors, only three actors have not appeared in the play before. 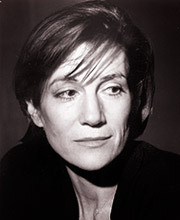 For instance, Kenneth Branagh (Fool) had played Edmond in a radio recording with Gielgud as well as having directed the play in the theatre (with Richard Briers as Lear); Sara Kestelman had played Gonerill more than once, but never Regan; David Burke recreates for sound his recent brilliant performance as Kent given in Richard Eyre’s RNT production; whilst Peter Blythe (Albany) and Alec McCowen (Gloucester) had both appeared (McCowen as the Fool) with Paul Scofield in the Peter Brook production those forty years ago. Forty years of living brings its own wisdom and perhaps an even greater understanding of human nature and old age. I think it is to those qualities of enrichment through experience that Shakespeare refers when he says that “ripeness is all”.